Picking a guitar isn’t the easiest thing to do, especially if you’re just beginning. When you’re just starting out, you probably don’t even know the basic things to look at when you’re going shopping for a guitar. That’s totally okay! That’s why I created this guide; to help you along your journey of picking out the perfect guitar. My goal is to introduce you to the best beginner level guitars on today’s market. Once you have armed yourself with the right information, you will be able to find the right guitar that will allow you to learn and grow into a great player. The price of the guitar is going to be one of the most crucial parts of the shopping process. A quality beginner’s level acoustic guitar will start at around $150 and will go all the way up to $600. I personally would not suggest going below the $100 mark. Why? Guitars that are retail priced below $100 aren’t quality. These guitars will break after a few months of use, not to mention that they just don’t produce the same quality sound in comparison to the more expensive guitars. If you truly want to learn how to play guitar, don’t be afraid to make the investment in a quality instrument. As you’re shopping, think about what you are hoping to get out of your first guitar. Are you looking for something that has a better appearance than it does sound? Are you interested in purchasing a guitar that is going to last you through your constant traveling to new venues? There are guitars that are made for specific genres, so do research and see what types of guitars best fit the genre that you are interested in playing. The brand of the guitar will truly speak about the quality of the instrument. Before making any final decisions, make sure that you do research before your purchase. Brands like Epiphone and Yamaha have strict quality control producers that they have set in place, that are performed before the guitars leave the factor. This means that there are lower chances for you to receive a lemon or a poor quality guitar, in comparison to purchasing a guitar that has a lesser known name brand. While sometimes this does mean that the price is going to be a bit higher, you should be comforted knowing that you are going to receive a top-quality instrument. 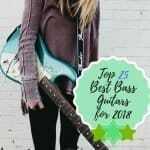 All of the guitars in this guide are six string acoustic guitars; all of the guitars that I talk about in this article are aimed at a beginner’s level and are all priced at the low to mid-range level. Check out the latest prices here. Yamaha FG830 Bright, rich sound. Has been one of the best-selling models for 50 years. Check out the latest prices here. Seagull S6 Original Great sound projection. Lightweight. Thinner neck at nut for easy handling. Check out the latest prices here. Fender Tim Armstrong Hellcat Easy playability. Small body compared to a dreadnought. Check out the latest prices here. Britsol by Blueridge BD-16 Warm, bright sound. Resonates greatly. Easy to find replacement parts. Features: The Seagull S6 Original is best known to be the guitar that is one of the best models to learn guitar on. Features: The Fender Tim Armstrong Hellcat is actually based on Tim Armstrong’s vintage 60’s acoustic. This is an acoustic-electric guitar, which means that the sound of the acoustic guitar can be projected even more, with the use of an amp. However, it still plays and sounds the same way as a regular acoustic guitar. 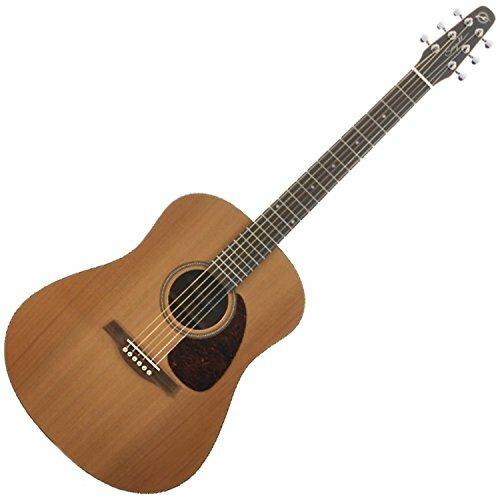 Features: Named after the city in Tennessee, the Bristol by Blueridge BR-16 is a competitively priced guitar that plays like an intermediate level acoustic. This guitar is still made and produced in the United States of America, with Blueridge known for producing consistent quality in their guitars. Blueridge guitars are still made in America! 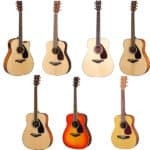 When you’re looking to purchase your first acoustic guitar, make sure that you really take your time and consider all of the options that the guitar offers. After all, choosing the right guitar can be a painstaking process. Today’s guitar market is flooded with quality beginner level guitars that fall into the affordable price range. Read our articles, watch videos, and speak with a few experienced players! Playing acoustic guitar is a wonderful experience and it certainly can be one that is life changing. Before going out and investing in a guitar, make sure that you are passionate about playing. If you end up hating the instrument from the first day you pick it up, you will just turn out to be incredibly frustrated, and end up never picking it up again! Once you finally have your guitar, all of the fun that comes with learning the instrument can start! Make sure that you check out our page for tips and tricks on playing! Dreadnought vs Concert: Which is a Better Acoustic Guitar Variant?